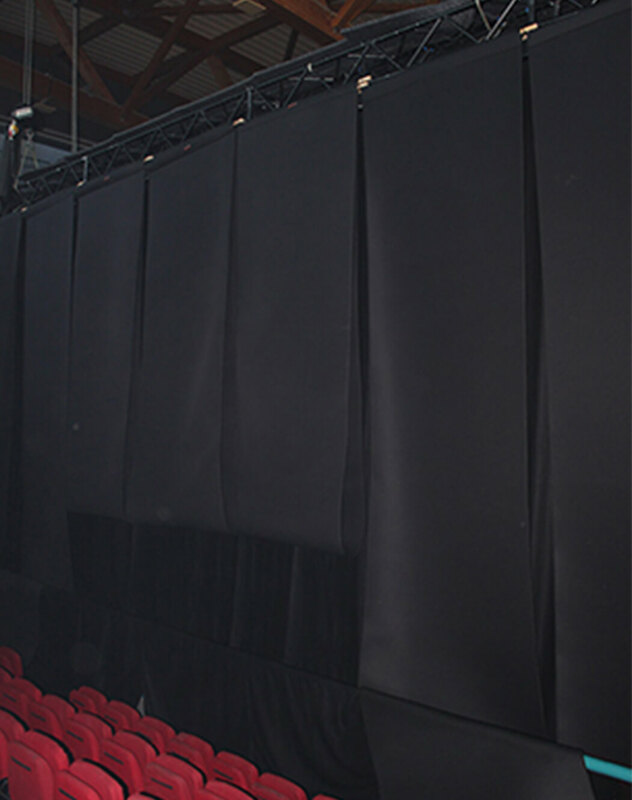 BASMEL Acoustic curtain is a low-cost acoustic product that can be used as a curtain or a sound divider. It is made of flexible open-cell polyester foam, fabric coated on both sides by fire-resistant fabric-finishing, with each end of the roll has fastening points for simple application. This product can be applied as a window curtain or as a separator between different zones. The sound waves penetrate the open-cell structure, thus reducing the reflected energy and give this product an excellent sound absorption capacity. 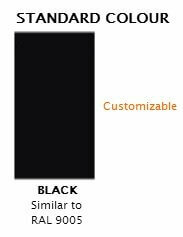 This product can be customized according to the specifications of each project, various colors and sizes can be provided by prior consultation. The construction of large rooms to hold meetings or events is increasingly necessary in the business market. The most requested rooms are the medium-sized rooms where they can perform various types of events, like; meetings, presentations, performances, shows and multimedia. In order to meet the constant demand for mobile solutions for this type of rooms, JOCAVI has developed, in close collaboration with ARENA ATLANTICO, a project for the construction of these acoustic rooms that are easily assembled and adaptable to the audience capacity of each event. We call these rooms’ Portable Soundproof Rooms, or simply PSRooms. The insulation of the walls is done by applying rollers of JOCAVI BASMEL curtains, which are a sound absorber element. These rollers are fixed to the TRUSS structure being thus unrolled to the floor. By each part of the BASMEL rollers (inside and outside the room) a curtain is applied to give the room the final finishing aspect. These three layers composition of these acoustic walls, with a gap space, provide us about 34 dB of sound insulation. The insulation of the ceiling is made through large plates of JOCAVI WATERCOT, which is a dense plate of acoustic insulation. These plates fit together and are placed on top of parallel and perpendicular straps, fixed to the TRUSS structure. This practical way of constructing smaller spaces within large pavilions has surprising results. The reverberation time inside the room is very good for the sound's intelligibility. An environment with such characteristic besides being intelligible is conducive to being able to attenuate to the outside. In other words, the sound insulation achieved in conjunction with the reduced reverberation time inside make remarkable acoustics and are well insulated and treated for the type of programs to be held in the room. Flame resistance: Germany B1, France M1, GB class1, USA V0/HF1. JOCAVI® BASMEL® curtains are provided in rolls to be suspended. Mobile solution for events or to be permanently installed. Improves sound's intelligibility and sound isolation between different adjacent performing spaces. Can be used as a curtain or as a sound divider. Raw material: Acoustic foam and fabric.